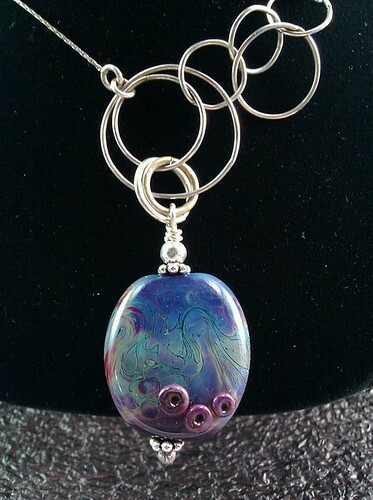 Autochthonous Evolved - Jewelry and Lampwork Beads: Lampworking Class This Saturday, March 5th. Lampworking Class This Saturday, March 5th. Julie is very excited to announce that we've gotten enough interest to hold a lampworking class this Saturday, March 5th, with a second class scheduled for Saturday, March 12th for anyone that can't make it on the 5th or wants a second practice session with help. We still have a couple of openings for anyone else who might be interested. What is lampworking? Lampworking is the name for making handmade glass beads with a torch, glass rods, and a mandrel around which you wind the molten glass. 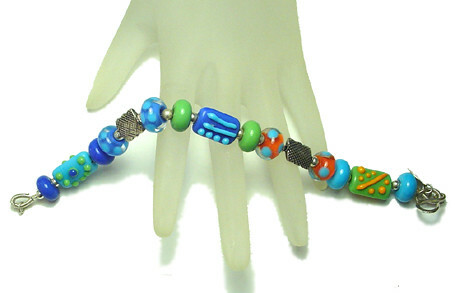 You'll learn about safety, glass properties, and how to make beads that are symmetric around the mandrel in the morning, then in the afternoon you'll learn about using thin stringers of glass to decorate the beads. Julie will do several demos, but the class focuses on hands-on practice time with instructor-guidance when needed. If you have any questions, Julie is working today, Wednesday, and Friday from 10-4pm. You can call the store at 651-282-0099.